This website, LaserLabSource.com (the "Website"), is owned and operated by Research Lab Source Corporation. LaserLabSource.com currently provides the research services rendered on this Website free of charge to you under the terms, conditions, and notices contained herein (the “Terms"). By using this Website, you hereby agree that you are at least eighteen (18) years of age and bound by all of the following provisions of these Terms. LaserLabSource.com operates primarily as a research, communications and advertising service for laser laboratory products (the "Laser Source, Measurement and Control Products"). 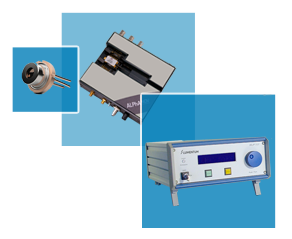 Services are offered to buyers, sellers and users of these Laser Source, Measurement and Control Products. All of the Content provided on this Website is for informational purposes only. This Website provides an online platform that helps connect buyers who wish to purchase Laser Source, Measurement and Control Products with sellers of these products. In addition to the research, communications and advertising services offered by this Website, in certain markets Research Lab Source Corporation offers value added online reseller services for original equipment manufacturers of certain Laser Source, Measurement and Control Products. Terms and conditions for all transactions associated with value added reseller services are addressed in separate agreements. LaserLabSource.com is not endorsed by the companies listed on this Website and makes no claims regarding the accuracy of the information found in the data sheets, materials, technical documents, or the accuracy of the titles of the data sheets or technical documents listed on this Website. Users of this Website should, in all cases, contact the original product manufacturer of any Laser Source, Measurement and Control Product listed on this Website directly to ensure accurate information. LaserLabSource.com does not intend in any way to diminish the commercial value of the products manufactured by the companies listed on this Website. No data sheets or technical documents found on this Website have been altered from their original state in any way. Data sheet and technical document titles are provided in a common format only as a reference to enable product searches and scientific research. LaserLabSource.com is a distributor and not a publisher of the Content supplied by third parties on this Website. LaserLabSource.com does not have editorial control over such Content. Any opinions, advice, statements, services, offers, or other information that constitutes part of the Content expressed or made available by third parties, including Merchants, Suppliers, Providers, Sponsors, Licensors, or any customer or user of the Website, are those of the respective authors, manufacturers, or distributors and not of LaserLabSource.com or its affiliates or any of its officers, directors, employees, or agents. Neither LaserLabSource.com nor its affiliates, nor any of their respective officers, directors, employees, or agents, nor any third party, including any Merchant, Supplier, Provider, Sponsor, Licensor, or any other customer or user of the Website, guarantees the accuracy, completeness, or usefulness of any Content, nor its merchantability or fitness for any particular purpose. The LaserLabSource.com Website and the information, materials and Content contained therein are provided "as is." LaserLabSource.com makes no representations or warranties of any kind regarding this Website or its operation, Content, information, materials or any Laser Source, Measurement and Control Product or hardware component products listed on this Website. You assume all risk when using the Website, including but not limited to all of the risks associated with any offline interactions with others. LaserLabSource.com does not assume and expressly disclaims any liability that may result from the use of the Content provided or the products listed on this Website. In no event shall LaserLabSource.com be, and you expressly agree not to hold LaserLabSource.com, or its officers, directors, investors, subsidiaries, agents, assignees, representatives, advertisers, marketing partners, licensors, independent contractors, recruiters, corporate partners, or employees, liable for any damages whatsoever, whether direct, indirect, general, special, compensatory, consequential, and/or incidental, arising out of or relating to the use of this Website site, including without limitation, bodily injury, emotional distress, and/or any other damages resulting from use of products listed on this Website, Website Content, or communications with other users of this Website or persons you meet through this Website, LaserLabSource.com expressly disclaims any liability whatsoever for any damage, suits, claims, and/or controversies that have arisen or may arise, whether known or unknown therefrom. No advice or information, whether oral or written, obtained by you from LaserLabSource.com shall create any warranty. In no event shall LaserLabSource.com its affiliates or their shareholders, officers, directors, employees or agents be liable for any direct, indirect, compensatory, special, incidental, punitive or consequential damages arising from the operation, Content or use of this Website, even if advised of the possibility of such damages. Some jurisdictions do not allow the disclaimer, exclusion or limitation of incidental or consequential damages, so the foregoing disclaimer, exclusion, and limitation may not apply to you, and you may have other legal rights that vary according to jurisdiction. In no event will damages provided by law (if any) apply unless they are required to apply by statute, notwithstanding their exclusion by contract. LaserLabSource.com may contain third party advertisements and/or e-Shop Product Galleries. The advertisers and/or companies that open or maintain e-Shop Product Galleries on LaserLabSource.com are solely responsible for ensuring that the materials and Content submitted for inclusion on this Website are accurate and comply with all applicable laws. This Website is not responsible for the acts or omissions of any advertiser or company that opens or maintains an e-Shop Product Gallery. LaserLabSource.com is not responsible for information about product specifications, pricing, or availability information associated with a specific product. LaserLabSource.com is not responsible for the Content of any such information, nor responsible for any errors or omissions in Content or descriptions. This Website (excluding linked sites) is controlled by LaserLabSource.com, LLC, which is headquartered in the State of Montana, United States of America. The Website can be accessed from all 50 states and the District of Columbia, as well as from other countries around the world. As each of these places has laws that may differ from those of Montana, by accessing this Website, both you and LaserLabSource.com, LLC, agree that the statutes and laws of the State of Montana, without regard to conflicts of laws and principles thereof, will apply to all matters arising from or relating to use of this site. You and the Website also agree and hereby submit to the exclusive personal jurisdiction and venue of the federal district and state courts of Montana with respect to such matters. The Website makes no representation that materials on the Website are appropriate or available for use in other locations, and accessing them from territories where their contents are illegal is prohibited. Those who choose to use or access this Website from other locations do so of their own initiative and are responsible for compliance with local laws.